The Indian Overseas Congress, USA hosted a daylong conference at the Crown Plaza Hotel in NY on July 28. In attendance were delegates from across the country. 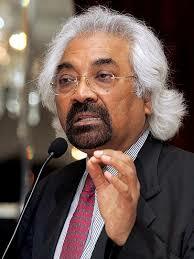 Sam Pitroda, chairman of the Indian Overseas Congress, AICC presided over the conference. The conference aimed to bring together like-minded people from across the US, who identified with the values and principles of the Congress party. Speakers at the conference emphasized how the Congress Party helped India gain Independence, gradually building the nation into one of the top global economic powerhouses. The conference also focused on the current challenges to the democracy in India and exploring the possibilities of strengthening the Overseas Congress Units in the US and expanding the cooperation between the NRIs and their motherland. The meeting also sought inputs from the delegates in the endeavor to strengthen the pillars of Indian democracy through knowledge sharing in social media and volunteerism in 2019 General elections. Speakers at the meeting included Sam Pitroda, Dr Surinder Malhotra, George Abraham, Shudh Prakash Singh, Mohinder Singh Gilzian, Rajinder Dichpally, Harbachan Singh and AICC secretaries Himanshu Vyas and Madhu Yaskhi.